Have an idea for a podcast and want to get started FAST? Then you've come to the right place. This complete step-by-step walkthrough will tell you EXACTLY what to do, as simply as possible, based on your goals and budget constraints. Content: What is my podcast about? Purpose: Why am I making this podcast? Audience: Who do I want this podcast to reach? Demand: Why does my audience NEED my podcast? Why is it relevant to them? Format: Do I want to be the sole host, have a co-host, or have multiple hosts? Do I want to include guest interviews, and if so, do I want these to be in person or over Skype and/or telephone? Do I want to broadcast live, and if so, do I want to be able to cue soundbites, music, and FX live? Be clear. Never sacrifice clarity for cleverness. Clever titles can certainly help grab attention, but you don't want your podcast's title to be confusing or hard to spell. Allude to your Content, Purpose, and Demand. Your audience is already out there looking for these things. Your podcast's title should tell them they've found what they're looking for. Be brand-consistent. If your podcast is going to be part of an established brand (business, website, product, etc. ), conform your podcast's title to that. If people who already know your brand come across your podcast, you want them to automatically know it's part of your brand. Create a logo for your podcast that can also be used on your website and social media. Create other artwork (Facebook cover photo, Soundcloud banner, email header, etc.) that contains your podcast's title, logo, or other features that make it obviously part of your brand. Buy a domain that's as close as possible to your podcast's title (if you don't own one already). Create social media accounts that share your podcast's title. Facebook and Twitter are essential. Keep logos, artwork, color schemes, fonts, and the "general feel" as uniform as possible across all platforms. 1. Assess what you already have. If you have an iPhone, some earbuds with a built-in mic, a computer of some sort, and internet access, you can start your podcast for FREE! ...although, your recording and production quality won't be very good. 2. Determine your budget. This is not limited to understanding your financial limitations. Your answers to the Format questions in Step 1 will play a large part in what gear you need. You're the sole host of your podcast. Guests will only be interviewed over Skype, not in person. Tons of functionality for the price. 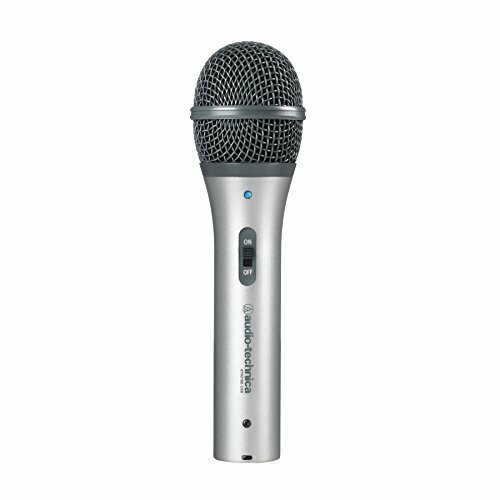 Has built-in on/off switch, headphone jack with volume control, standard XLR output, and USB output. 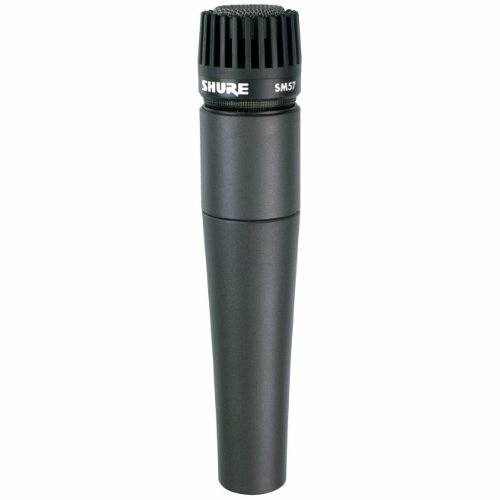 Comes with an entry-level mic stand and XLR cable. Has unpleasant natural tone: very mid-range heavy with very little low-range response. Must be heavily EQd to sound professional. Decent tone, noise isolation, durability, and comfort for the price. A huge upgrade from earbuds or cheap big-box store headphones. Far from flat frequency response. Not at all suitable for mixing. Prevents Ps and Bs from sounding like little explosions in your recordings! Must have! Plus, these are super cheap! 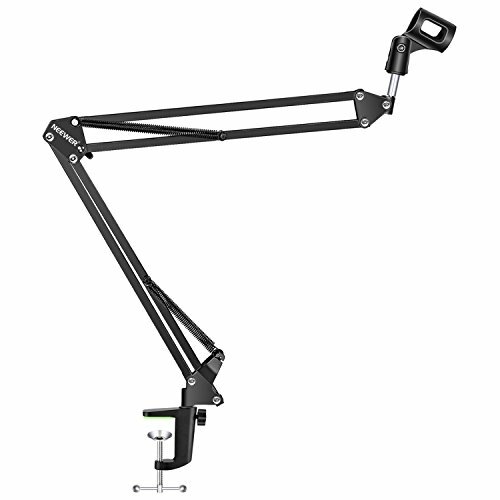 Not necessary, but definitely makes positioning the mic more comfortably much easier. Extremely affordable. Can sometimes squeak when you move it. Nothing a little WD-40 can't fix! Free! Comes with lots of audio functionality beyond just recording (editing, EQ, compression, limiting, multi-track mixing, etc.). Not very user friendly. Extremely bad input monitoring latency (unfixable). Inability to multi-track record. Free! Can record Skype audio and video of all parties, other parties only, or only audio of all parties. Windows only. Works best on Windows 10 and XP. Can be glitchy on other versions of Windows. Can record Skype audio and video of all parties or other parties only. Extremely user friendly. Mac only. $30 price tag. You have around $400 to spend. You're the sole host of your podcast, but may occasionally have someone co-host. Guests will usually be interviewed over Skype, but you want to be prepared for an occasional in-studio guest. An old audio industry standard. Virtually indestructible. Great dynamic range. Decent natural tone on vocals that can sometimes pass muster without EQ. Only comes with a zipper bag and mic clip. Usually needs a little EQing. Basically a small, portable, durable, one-channel audio interface. Can interface any mic with a computer. Only allows for one mic track at a time. 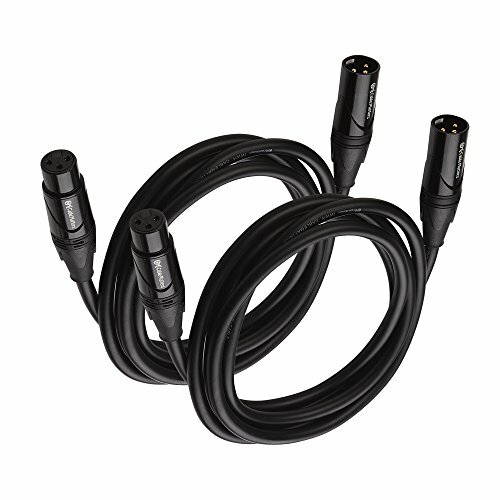 Can track multiple mics to one track with the addition of XLR splitters (see below). Allows you to connect two mics to the same input. You can even get as many of these as you want and daisy-chain them together to accommodate as many mics as you want. Multiple mics into one input is never ideal. Your input gain will affect all mics on the circuit. You will also have a much more difficult time editing than if you had multi-tracked. 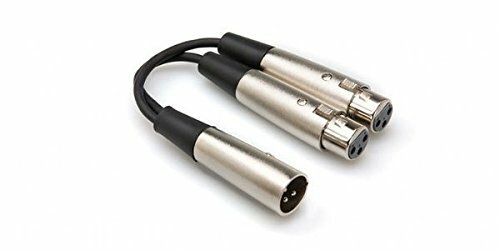 These are cheap, but well-made, durable, and noise resistant... and you always want to have at least two XLR cables on hand! None! You should actually buy more than just a two-pack! ...and buy longer lengths, too, so you're prepared for many different situations! 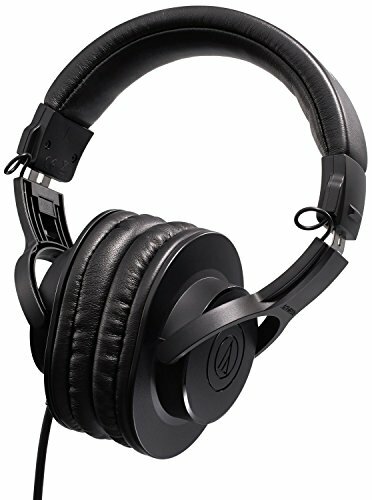 Probably the best closed-back headphones you can get for under $100. Great frequency response and overall tone for the price range. Well-built, durable, and very comfortable. Not suitable for mixing without a frequency response correction plugin, like the Sonarworks Reference 3 Headphone plugin, which supports these headphones. 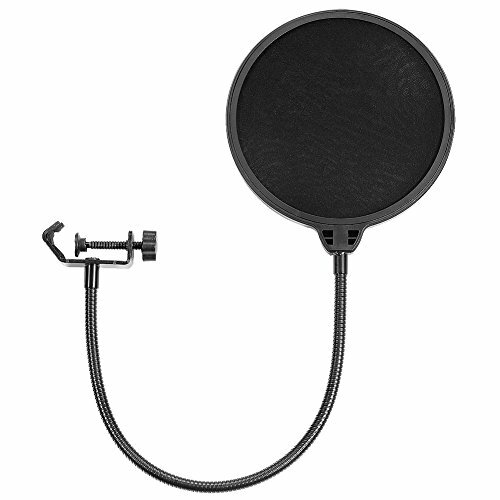 Use same pop filter, articulating mic arm, and recording software as the Tier 1 package. You have around $700 to spend. Guests will often be interviewed in-studio, as well as over over Skype. You want the ability to multi-track record, as well as flexibility in editing, mixing, and mastering. Use same mic, pop filter, articulating mic arm, XLR cables, and Skype recording software as the Tier 2 package, but get a second mic and pop filter, as well as the additional gear listed in this tier. Free version of Avid's powerful DAW. Allows for multi-track recording, low-latency input monitoring, and advanced editing, mixing, and mastering. Limited to 4 inputs, 16 total tracks, and 3 cloud-stored sessions at a time... but all you need for podcasting is a template session and whatever project you're currently working on. Video functions are disabled. 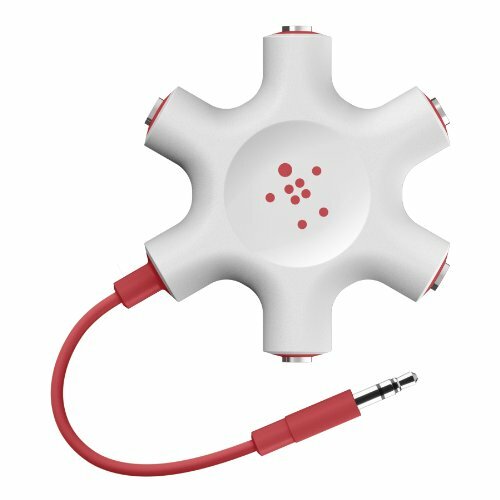 Calibrates almost 100 different popular models of headphones to allow you to reference mixes accurately on many of them. $99 price tag... but well worth it. Also, even though several models of Beats headphones are supported, I still wouldn't trust this plugin to totally fix all the frequency problems those headphones have. High quality USB3 audio interface with two high quality mic pre-amps. Allows you to record two mics to two separate tracks. Well-built and durable. Comes with Pro Tools First. Only two inputs. Limited to two-track recording. 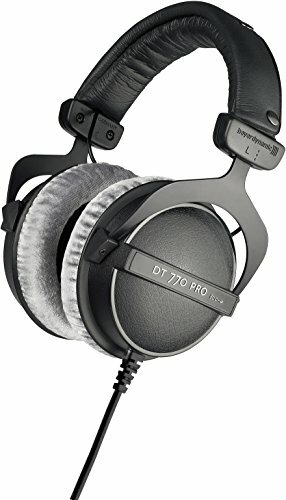 Probably the best closed-back headphones you can get for under $200. Superior frequency response and overall tone for the price range. Extremely comfortable, well-built, and durable. Comes with 1/4" adapter and transport bag. Even though they have a flatter frequency response than most closed-back headphones, I still wouldn't mix on them without the Sonarworks Reference 3 Headphone plugin, which supports these. 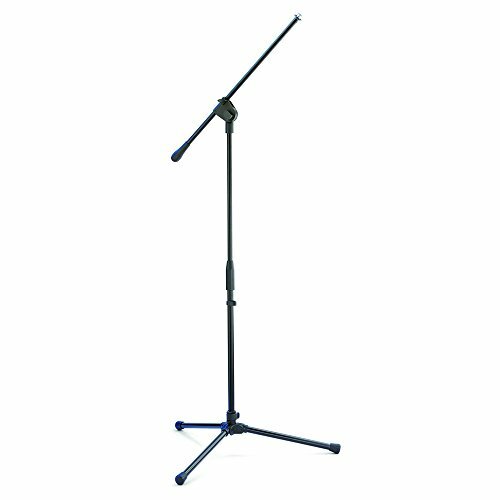 Good, cheap, all-purpose mic boom stand. Easy to position for guests. Easy to pack away in a closet when you're done recording. Also useful for lots of non-podcast miking situations. You have around $1,800 to spend. Your podcast has two or more local hosts. Guests will often be interviewed in-studio, as well as over over Skype, and you may have multiple local guests. You want the ability to cue soundbites, music, and effects live during recording. 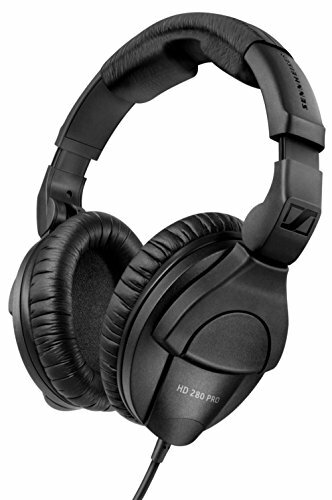 Also purchase at least 3 extra pairs of headphones for your co-hosts and in-studio guests. The Audio-Technica ATH-M20Xs will suffice (Tier 1 package). Tons of functionality for the price. USB3 connection. Has 16 inputs and 8 outputs. 8 of the inputs are XLR jacks with Ultra-HDDA pre-amps, and the other 8 are 1/4" line-in jacks (the two on the front are switchable to instrument level). USB connection causes noticeable latency when running plugins while recording and input monitoring. A cheap and easy solution for sharing your own headphone mix with your co-hosts and guests. You can even daisy-chain more than one of these together! You may have to increase the volume going into this splitter in order to maintain the same volume after plugging in multiple pairs of headphones. Now that you have everything you need to produce your content, PRODUCE IT! After you've recorded your content, if you're not great at editing, mixing, and mastering, or you just think the sound quality could use some improvement, hire me, and I'll take care of that stuff for you for a very affordable rate! This is another thing I would be happy to do for you... but if you'd like to do it yourself, I recommend using LibSyn to distribute your content to your RSS feed, iTunes, and Stitcher. Thanks for reading! If you found this article helpful, please share it with your friends!